Wow! What a spectacular antique fruit image! 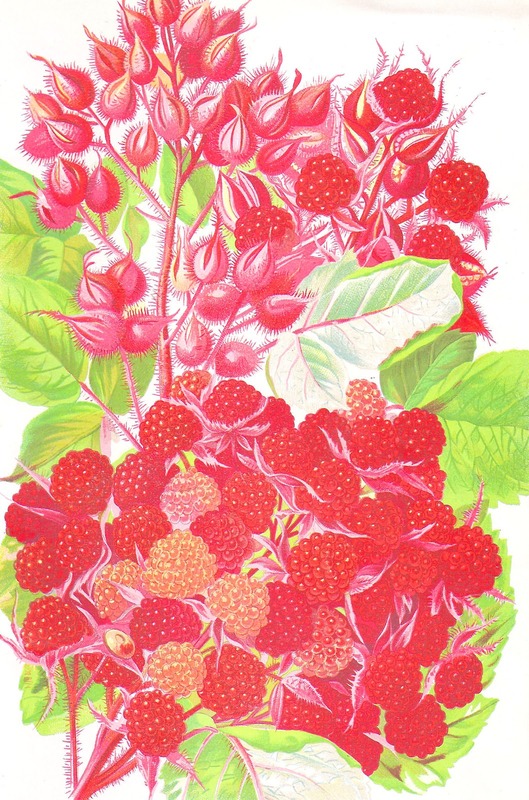 This is a antique fruit graphic of a Japanese Raspberry known as, Wineberry, and comes from an 1870's seed catalog. This image was very difficult clean up, but I think the contrasting greens and reds are simply beautiful. I hope you enjoy!